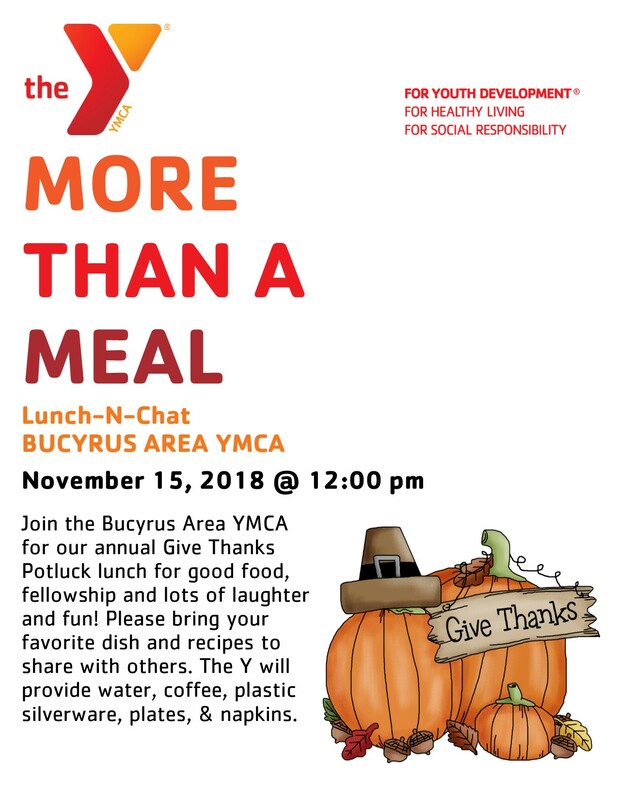 Join the Bucyrus Area YMCA for our annual Give Thanks Potluck lunch for good food, fellowship and lots of laughter and fun! Bring your favorite dish and recipes to share with others. The Y will provide water, coffee, plastic silverware, plates, and napkins.